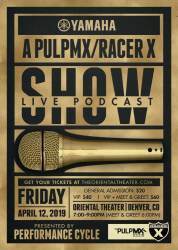 Yamaha and Performance Cycle Presents- Pulpmx/Race X Live Podcast show talking about the sport of supercross with some special guests. Join Steve Matthes, Jason Weigandt, Kris Keefer Jason Thomas and more. Presented by Performance Cycles. VIP ticket includes closer seating and early entry at 5:30! 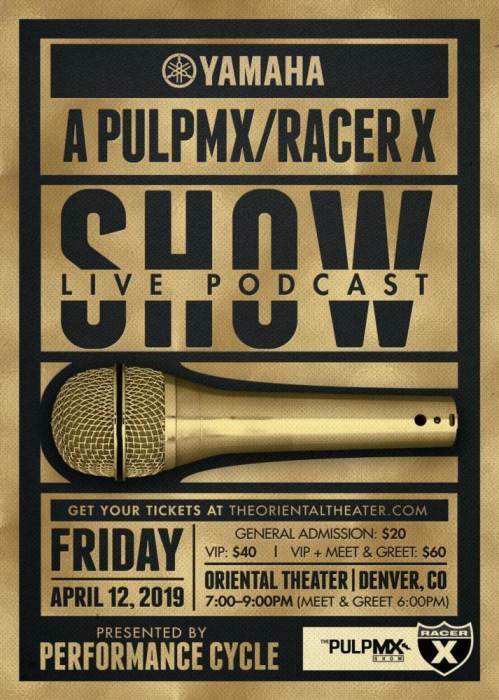 VIP/Meet and Greet package includes early entry at 5:30 for optimal seating, and a pass to hang with the guys after the show!